A simple fabric ribbon surrounds the mirror and sets it a side with a buckle to allow you to hang it on a brass hook (included). 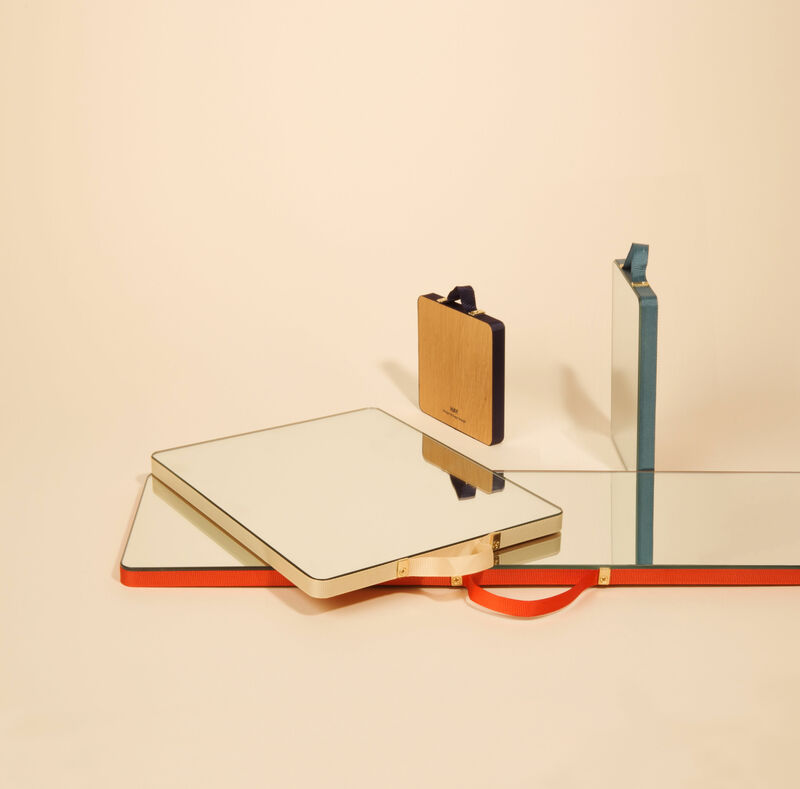 The idea of the designer, Inga Sempé to frame a mirror with a ribbon seems simple. In reality, a long refinement process was required in order to keep a light and graphical effect. 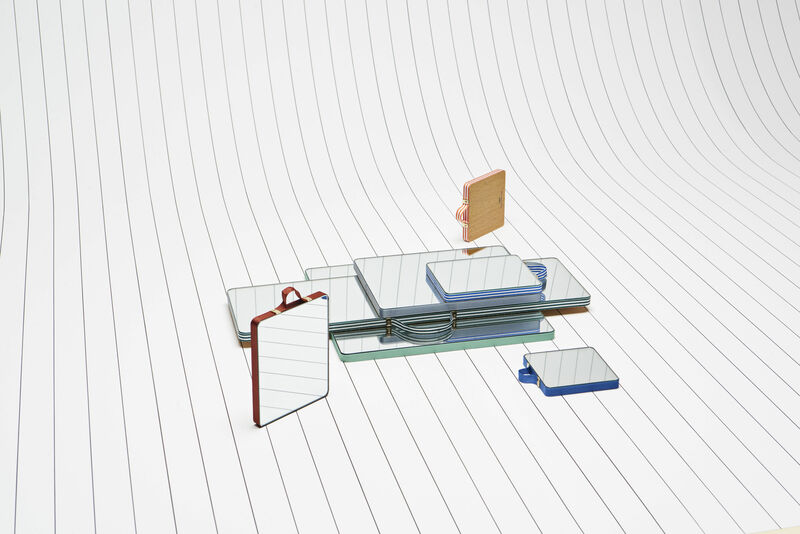 Each element had to be modified several times: the kind of ribbon, its trajectory, its fastening, its fixing method on the edge, the fixing items, the material on which the glass is glued against... Everything so that it stays prettily simple and at an accessible price. 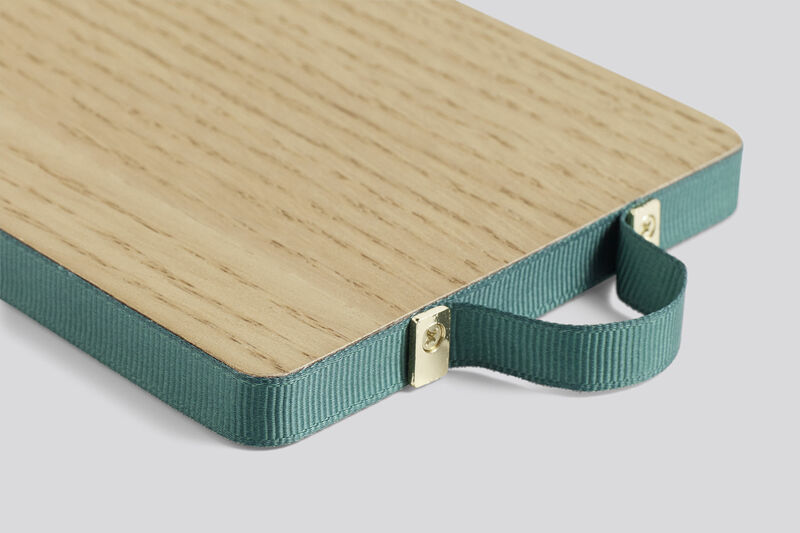 The colourful polyester fabric ribbon surrounds the oak-clad frame. The buckle on top of the mirror is embellished with two pretty brass rivets. 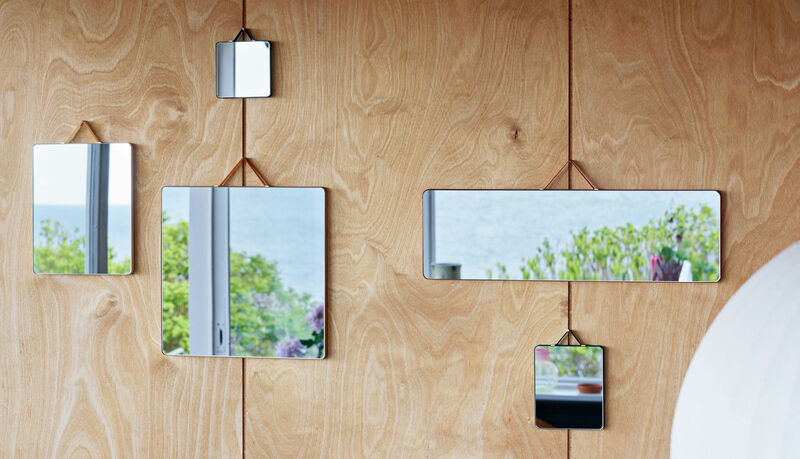 The Ruban collection includes 5 mirrors with different sizes and colours. They are designed to be bought separately or presented all together. The small square is like a little lighting point designed to illuminate a wall rather than to view yourself. 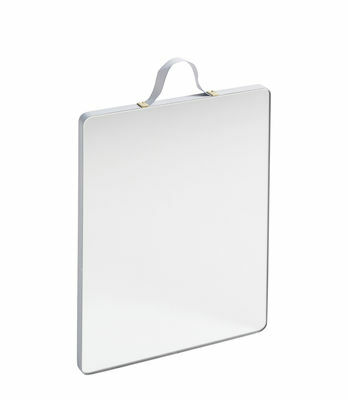 The small rectangle appears to be a child's mirror. The Italian rectangle evokes sailors, or the mirrors that furnished old trains. 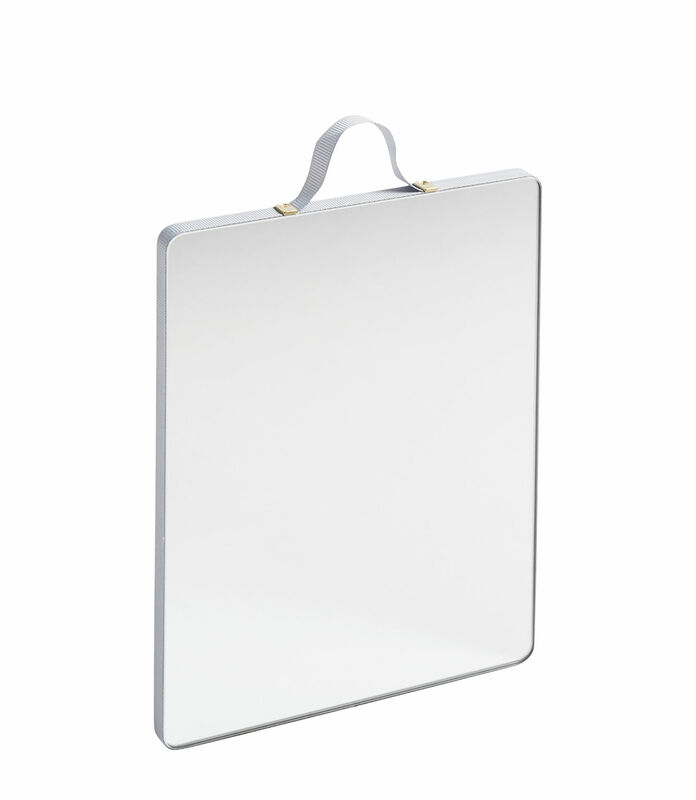 To this a large rectangle and a large square for everyday use is added.